On New Year’s Day, I tackled a long overdue task: I finally confronted the beast that is my Mount TBR. Which is to say, I organized my virtual bookshelves. When I committed to #ReadMyOwnDamnBooks in 2016, I did so out of a powerful but vague notion that I desperately needed it. My home had become so swollen with books that I no longer had a clear sense of what I owned and what I wanted to read next. I relied on the search function in my Nook to determine whether I owned a book or not while my paper book situation felt beyond my capacities. 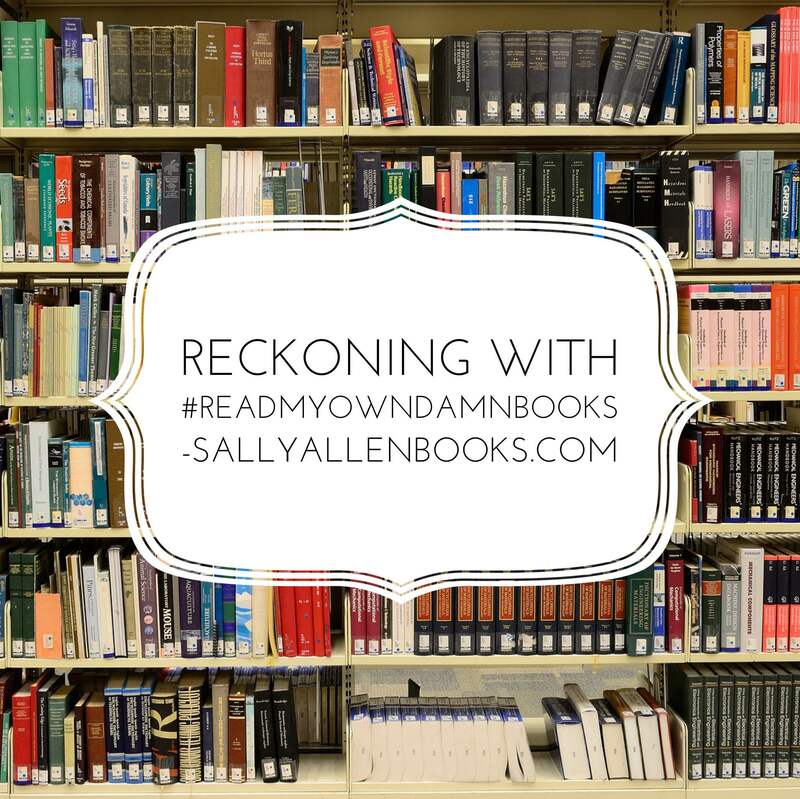 I threw myself into #ReadMyOwnDamnBooks without much planning and the end result was, predictably, uneven. Some months, I did fabulously. 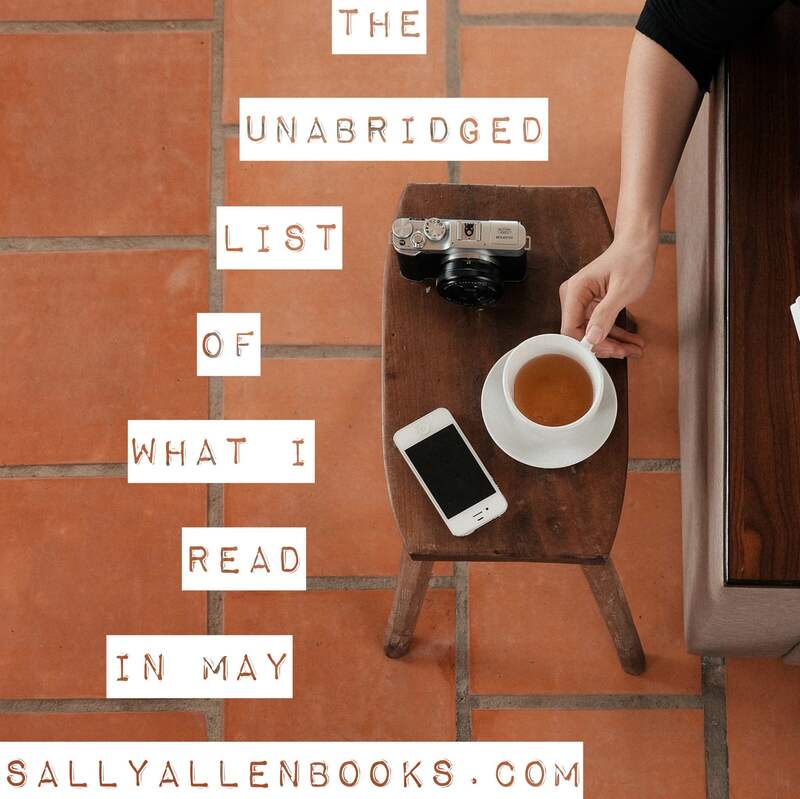 In May, my best month, nine of the 10 books I read were my own. Other months, I did dreadfully. In October, my worst month, only one of the 13 books I read came from my existing library. They were wonderful books. But I’ll wager I have some equally wonderful books waiting for me on my shelves, real and virtual. For 2017, I’m committed to reading my own books again. But this time, I want to do it with greater intention. I want to be less impulsive and more mindful. I want to make active choices rather have reactions. Especially reactions like, “Ahhh, I don’t know what to read next! I guess I’ll just go ahead and acquire an entirely new book.” Because…seriously? More books? That’s my solution? One of my stumbling blocks is that I’m a *mood* reader. I can never predict exactly what book I want to read until it’s in my hands…and I’m 20-50 pages into it. That’s only part of the story, though. Oh, let’s be honest: It’s mostly a convenient excuse. I have at least 300 unread books in a wide array of genres on my real and virtual shelves. (That is a profoundly conservative estimate.) Surely among those hundreds are books that can satisfy whatever mood I’m in, would you agree? via GIPHY – This Twilight Zone episode has been my post-apocalypse nightmare since I saw it when I was 12. Now, finally, I’ve sorted through my Nook books and created nine shelves with to-read lists in a range of genres. I’m sure I’ll rethink and refine how I’ve arranged them. But at least it’s a start. Next on my agenda? Tackling Mount TBR the physical bookshelves edition…wish me luck! 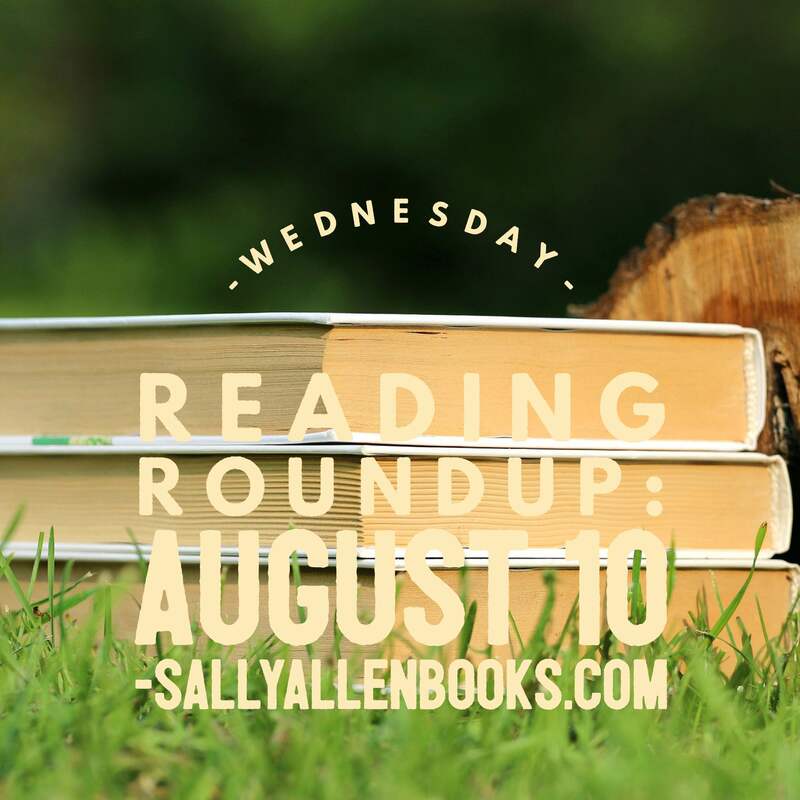 My first year participating in the When Are You Reading? challenge hosted by Sam at Taking on a World of Words is officially completed. And I’m happy to report I was able to read books set in or written in each time period represented in the challenge. When I joined it in June, I had three time periods left to cover. I had great ambitions to read books written during those times. But … for two of the three (1500-1599 and 1600-1699), I ended up reading historical fiction instead of books written at that time. For 2017, I’m aiming to read books written during each period since my goal is to read more classics this year. My final tallies are down below. When I originally wrote this post, I included every book I’d read this year as a way to figure out what I still needed to read. I haven’t included all my 2016 titles read since then, only the ones that completed time periods. If you’re interested in more about the books I read this year, I keep monthly lists here. If you’re interested in participating in 2017, Sam has a description and sign up here. When, as a kid, I was in danger of taking life too seriously, my dad would invite me to reflect on my concerns by asking, “How much will this matter in 100 years?” At the time, I assumed his rhetorical question was meant to show me how our fleeting obsessions hold little consequence in the grand scheme of the universe. But that’s not quite right, is it? Without access to knowledge of future events, we cannot possibly know whether this (whatever “this” is) will matter in 100 years. Life is made up of tens of thousands of millions of seemingly inconsequential choices whose cumulative effects can be world changing. We study history for this reason, don’t we? To study the actions and reactions that have lead to outcomes we want either to replicate or avoid. But even that doesn’t really work. Evidence suggests we make the same mistakes over and over again; it’s the one thing about human nature and experiences that’s predictable. Conclusion: All we can do in the moment is our best. It felt like a slow month of reading for me. For good reason: It was. 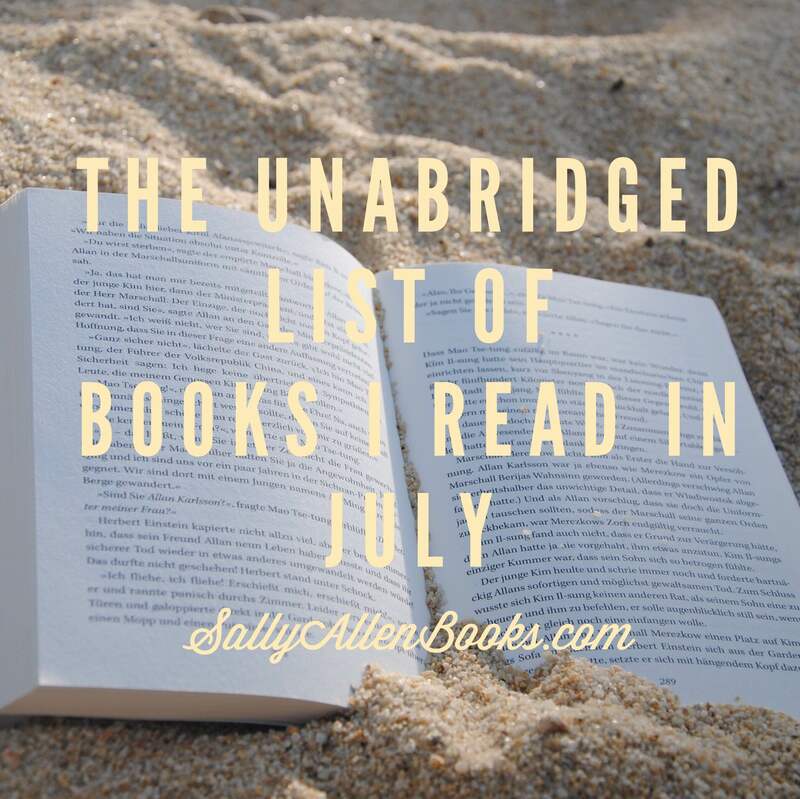 With six books read, July was my slowest month of reading this year. And it’s even slower than it looks since I read Harry Potter and the Cursed Child in one day, that day being July 31. We’ve arrived at the halfway point of 2016, and for me, that means the halfway point of my commitment to read my own books this year. Happy new month, readers! My May reading goal was to smash my stack. I haven’t so much smashed as gently nudged it. To be fair, though, it’s a gargantuan stack. On the plus side, I promised to read at least 80 percent of my own books this month, and I exceeded that goal. I read 10 books, nine of them my own. Thank you to JMill Wanders’ Take Back Your Stack Readathon for the final push!